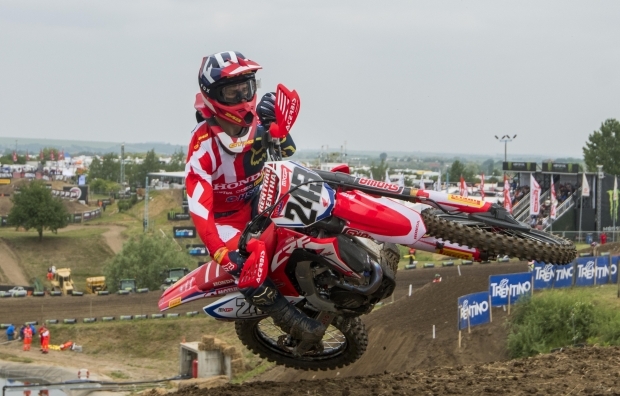 Team HRC’s Tim Gajser has claimed his second podium of the season and so-far best result of the year with a second place overall in the MXGP of Germany, after a brace of convincing second places in today’s two motos at Teutschenthal. As the eighth round of the season draws… read more. 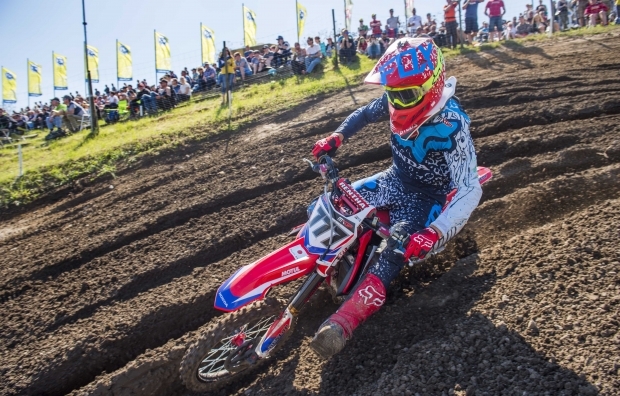 Calvin Vlaanderen has completed round eight of the 2018 Motocross World Championship with a stellar performance at the MSC Teutschenthal in Germany. With two third-place finishes, Calvin secured his first rostrum finish of the season aboard the all-new Honda CRF250RW. Vlaanderen had a competitive opening lap of the race and… read more. 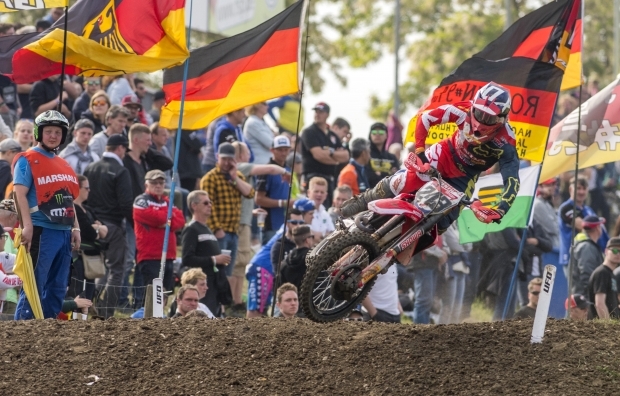 Team HRC’s Calvin Vlaanderen has had a strong start to the MXGP of Germany, which culminated in a third-place finish in today’s 25-minute qualifying race at Teutschenthal. Before that, the young South African rider had topped the timesheets of timed practice, which gave him the first gate pick for the… read more. 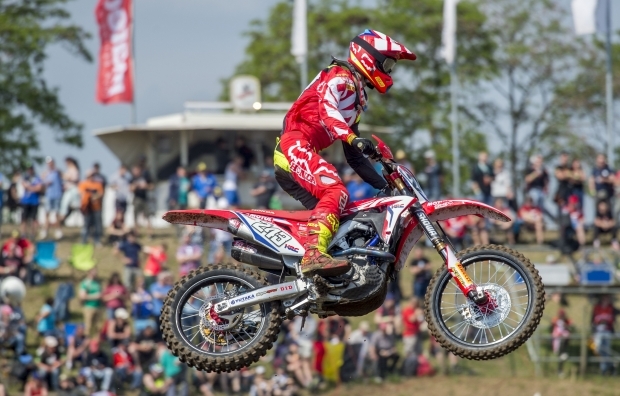 Tim Gajser has enjoyed a positive start to the MXGP of Germany by showing promising speed aboard his works Honda CRF450RW at the spectacular Teutschenthal motocross track. After topping the timesheets in free practice, the Team HRC rider was third in both timed practice and qualifying race in what was… read more. 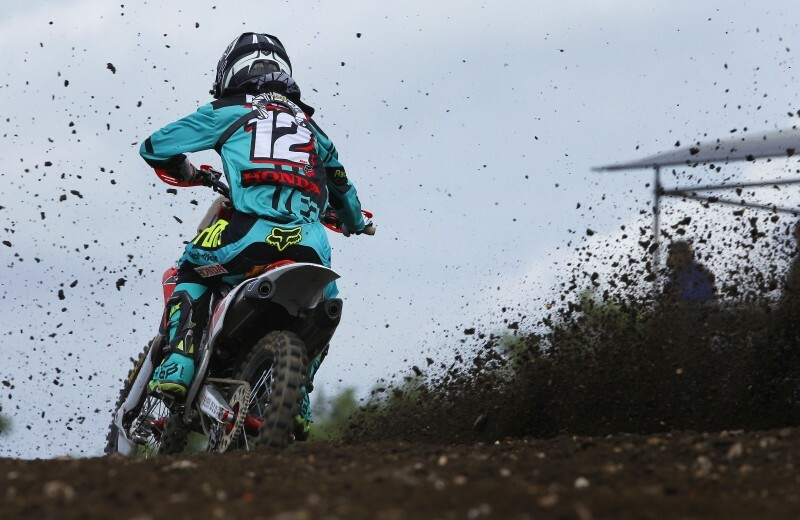 The eighth round of the 2018 Motocross World Championship will take place this weekend at the MSC Teutschenthal motocross track in the north-eastern part of Germany, approximately 190km south-west of Berlin. With Boger’s substitute Todd Waters out of action with a collarbone injury, Team HRC will be in action with… read more. 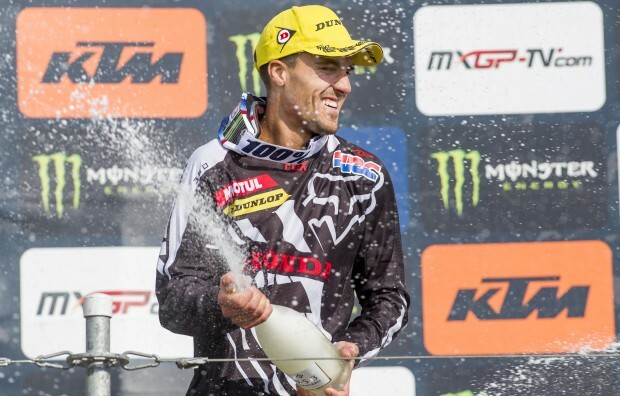 Michele Cervellin proved he is back on form this weekend as he took seventh overall in the MXGP of Germany today. After starting the weekend off with a fourth in qualifying, it was clear the Italian had a point to prove after he had been off the pace in… read more. 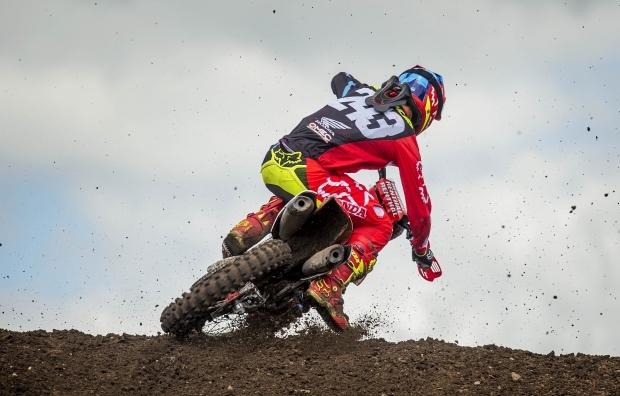 It has been a rather galling weekend in Germany for HRC MXGP but today Gajser rode a heroic race on his CRF450RW, to try to limit the damage on his world championship assault. The repercussion of Gajser’s crash yesterday, was that he irritated the already sore bruising he sustained from… read more. Michele Cervellin was back on form today on his CRF250RW as he took 4th place in the qualifying race at the MXGP of Germany. The Italian looked at home again on the bike today as he glided round the tacky German track. He had a good start and quickly got into… read more. 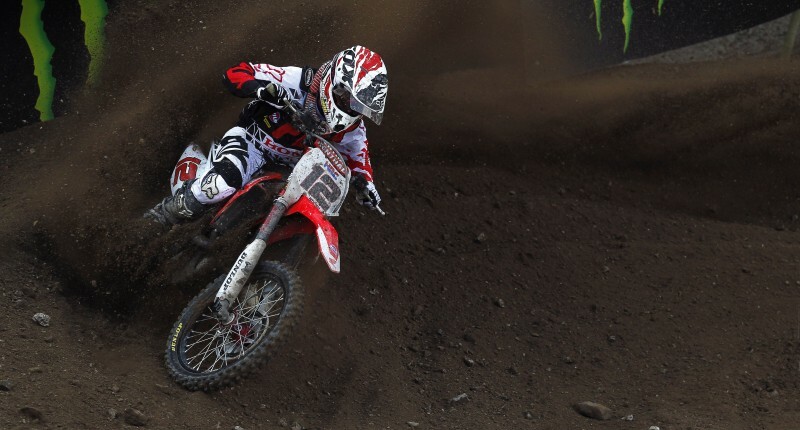 It has been a rather arduous day today in Germany for team HRC MXGP as qualifying got underway in Teutschenthal. The track was initially very muddy after heavy rain from a storm overnight drenched the circuit. With a significant improvement in the weather today, the track started to form deep,… read more. 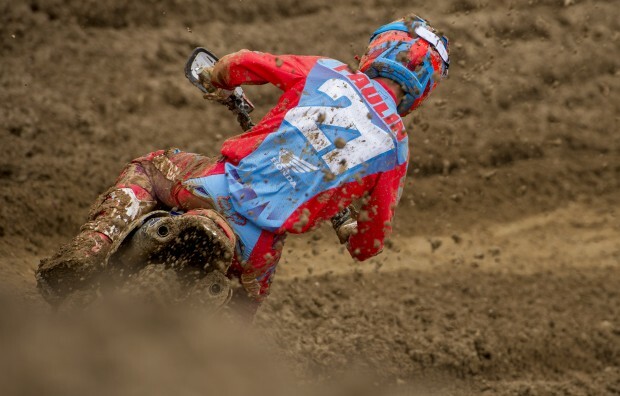 Today in Teutschenthal at the MXGP of Germany, Evgeny Bobryshev crashed on the landing of a jump in timed practice, causing a break to his right collarbone. He is being taken to Orthopadisches Krankenhaus Schloss Werneck for treatment and further updates will follow when available, as to his return. The eighth round of MXGP will take place this weekend in Teutschenthal Germany, where Michele Cervellin will be riding the CRF250RW for team HRC MX2. Having struggled in the last few rounds with a niggling hand injury, Cervellin heads into Germany this weekend with his championship goal back in focus.… read more. 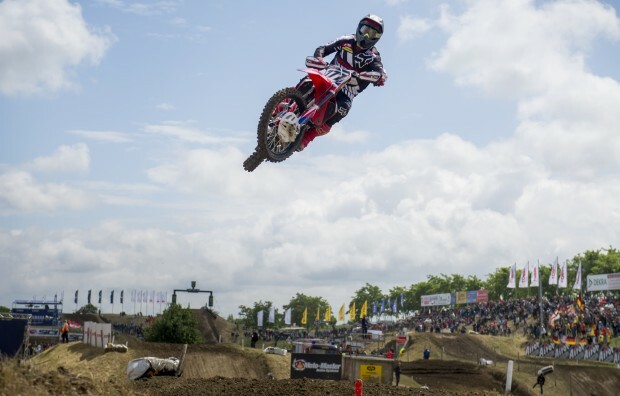 This weekend MXGP returns to Teutschenthal, for the eighth round of the FIM Motocross world championship. Team HRC has had much success here over the last few years, with both Gajser and Bobryshev finishing on the podium in 2016. 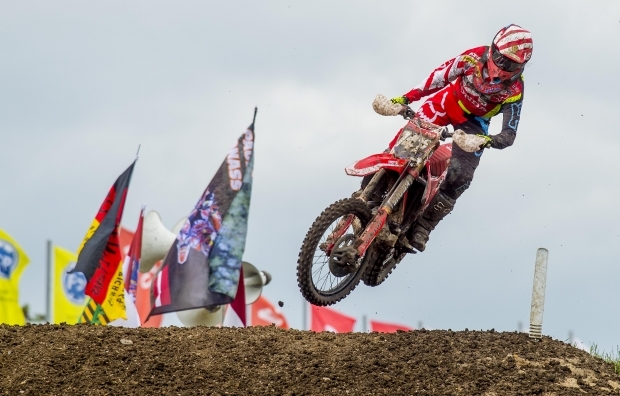 Gajser also re-took the red plate here last year after his… read more. 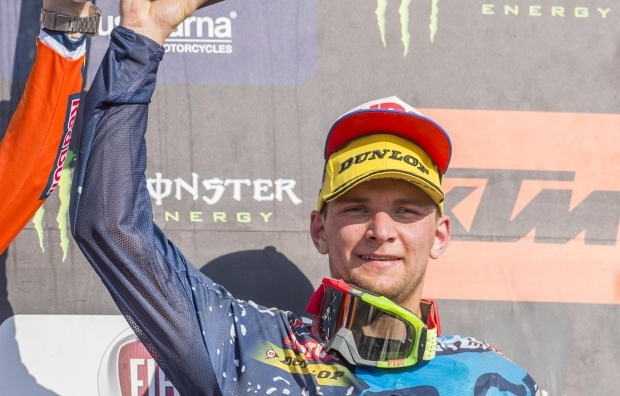 Team HRC’s Evgeny Bobryshev took his second podium of the season in Germany today with a stunning performance to take third overall, and he stood alongside fellow HRC rider Tim Gajser of the Honda Gariboldi Racing squad for the second double-HRC podium of the season. 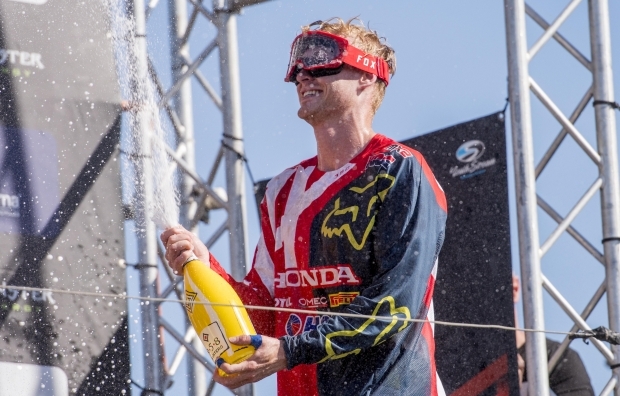 Bobby came home eighth in… read more. 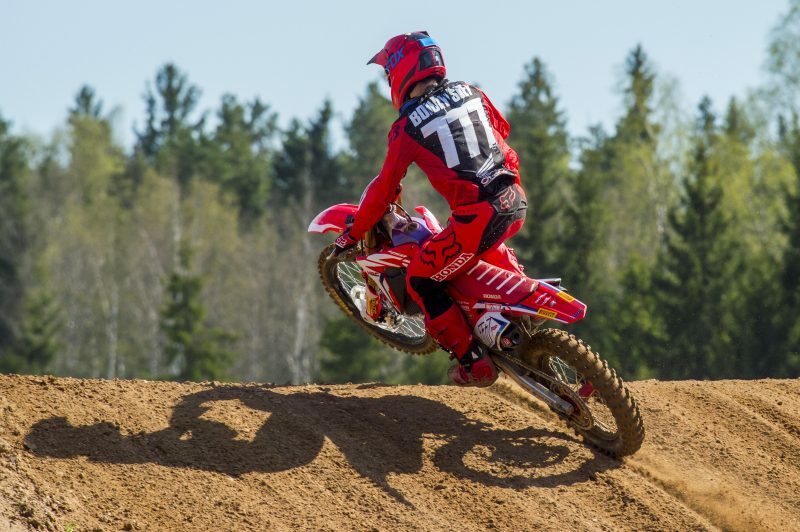 Evgeny Bobryshev continued to demonstrate his guts and determination today, riding the #777 CRF450RW on an incredibly rough and physical track with a shoulder that is still less than 100 per cent after last weekend’s crash that nearly ruled him out of the MXGP of Latvia. Seventh fastest in timed… read more. 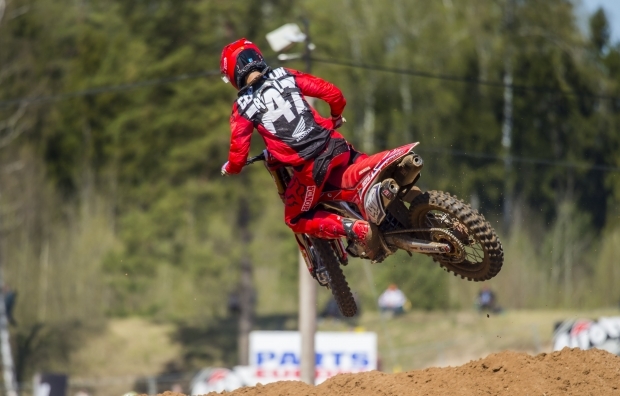 After a determined ride at the MXGP of Latvia last weekend, Evgeny Bobryshev is ready to do battle again this weekend at the MXGP of Germany, round seven of the FIM Motocross World Championship. The Russian is hopeful that his shoulder will be fine again after his qualifying crash in… read more. 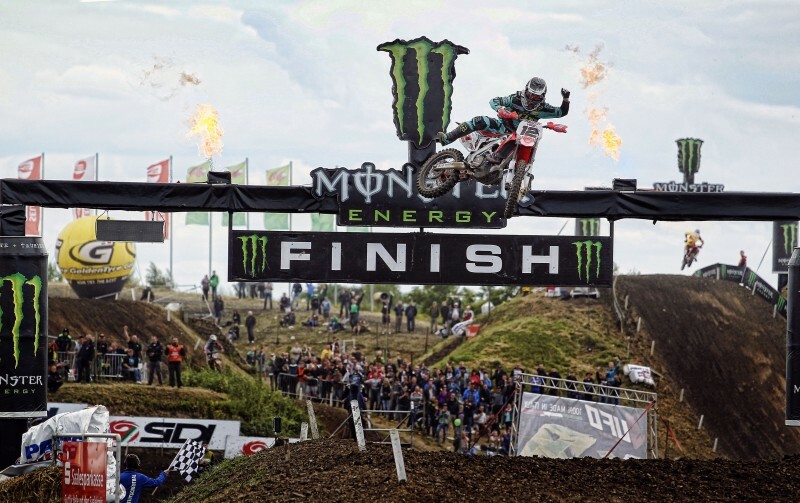 Gautier Paulin took to podium again today with a fantastic performance that saw him finish third in the opening race at Teutschenthal today and take a race victory in the second. 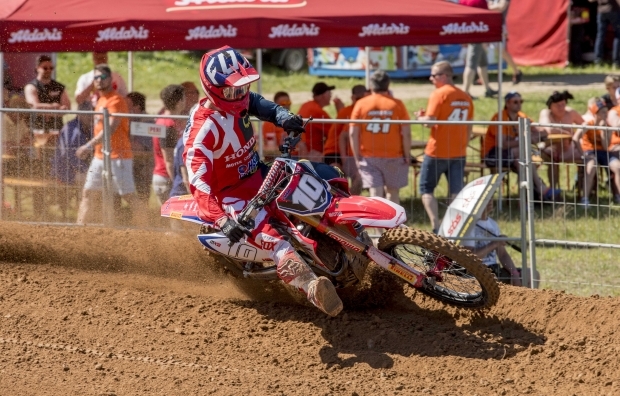 Both Paulin and Bobryshev had great pace yesterday, and it translated today to move the Team HRC duo up… read more. 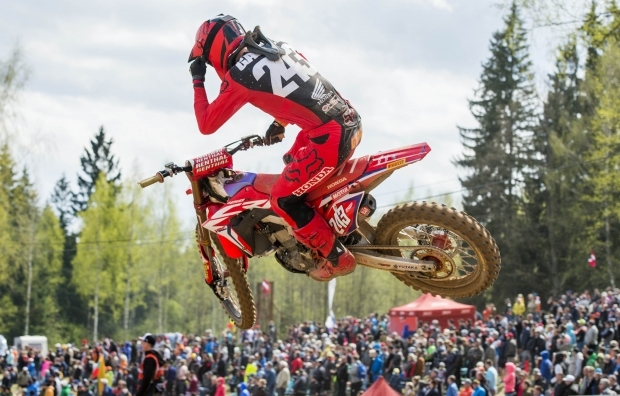 Evgeny Bobryshev scored his second qualifying race victory of the 2015 MXGP season today in dominant fashion, showing blistering pace to run away at the front in Germany. 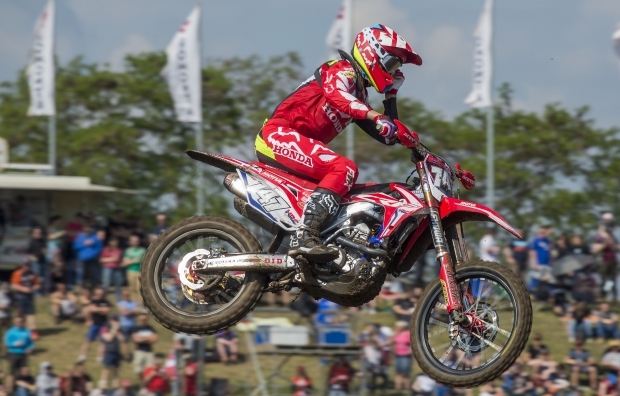 Both he and Gautier Paulin made good starts at Teutschenthal and were in second and fifth at the first corner. Both riders… read more. 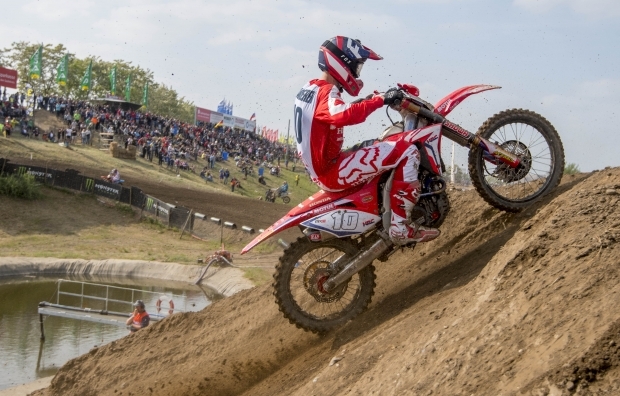 The MXGP of Germany this coming weekend represents the start of the second half of the Motocross World Championship season, being as it is round ten of 18, and Team HRC are hopeful of delivering on the promise shown at recent rounds. The Teutschenthal track has been a happy hunting… read more.